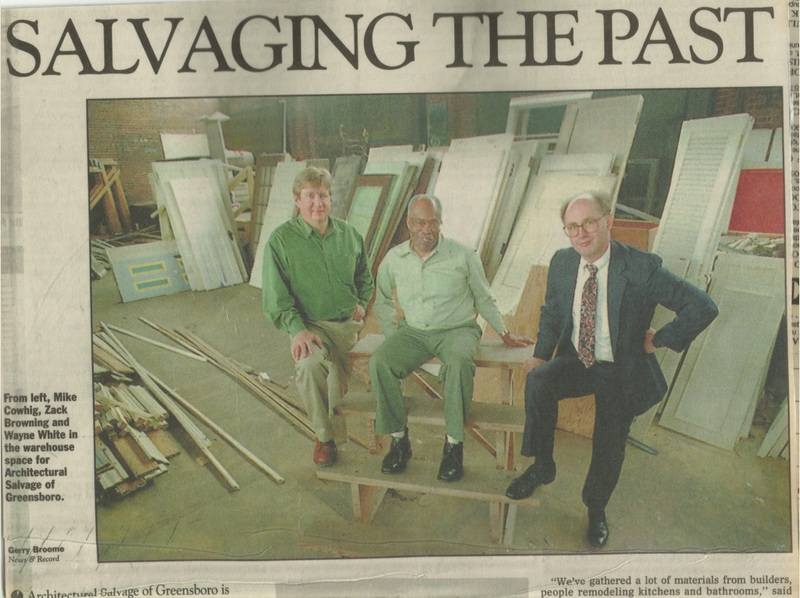 Architectural Salvage of Greensboro (ASG) was founded in 1993 as a project of Preservation Greensboro. The purpose of the venture is to rescue and recycle materials from historic structures when they are remodeled or demolished. In 2018, the initiative celebrates its 25th anniversary! The idea for a salvage program was discussed in Greensboro in the early 1980s by Margaret Evans Falkener, but affordable warehouse space could not be located. Full fruition of the ASG concept came about as a suggestion by the Friends of the Depot, Inc, an organization charged with utilizing the then-vacant Southern Railway Depot on East Washington Street. The second-floor baggage claim area was vacant at the time, and unheated. The Friends agreed to rent the space for $150 per month. The City of Greensboro invested $10,000 through a Community Development Block Grant to up fit the space to meet code. A steering committee was composed of members from Preservation Greensboro, the City of Greensboro, Greensboro’s historic districts, and other preservationists. Joe Bauer, Zack Browning, Mike Cowhig, Julie Davenport, and Wayne White were early leaders. The warehouse opened in 1994. A “Saving Worn Out Architectural Treasures” (S.W.A.T.) team was assembled to collect material from structures slated for demolition. The crew removed items such as bathtubs, mantles, door, windows, and occasional antiques. In 1997, the City announced plans to return the railway depot to its original use. This included relocation of all tenants of the depot, including ASG. Volunteers worked with city staff to identify a suitable and affordable site in which to relocate. The old Packard dealership at 300 Bellemeade was selected in 1998 as ASG’s new warehouse and salesroom. Costs, however, were $1,666 per month – far costlier than the rental rates at the old Depot. ASG outlined its mission in a letter to City Manager Ed Kitchen in 1998 in a request for monetary support. Funding was justified through Section 36 CFR 800: Part 800 of the National Historic Preservation Act of 1966, in which governmental entities are required to identify, salvage, store, and make available to the community architectural elements and building materials from structures that are slated for demolition in any of the National Register of Historic Places neighborhoods in Greensboro. ASG helps the City fulfill that requirement. An allocation of $22,000 was requested to cover the costs for a one-year lease of the old Packard dealership. The request was included in the 1998-1999 City budget, and that amount has been carried forth annually in varying amounts until the 2018-2019 fiscal year. In May 2014, Preservation Greensboro was notified by its landlord Roy Carroll that the lease on 300 Bellemeade Street would not be renewed, and that the organization had to clear all inventory from the premises by June 15. 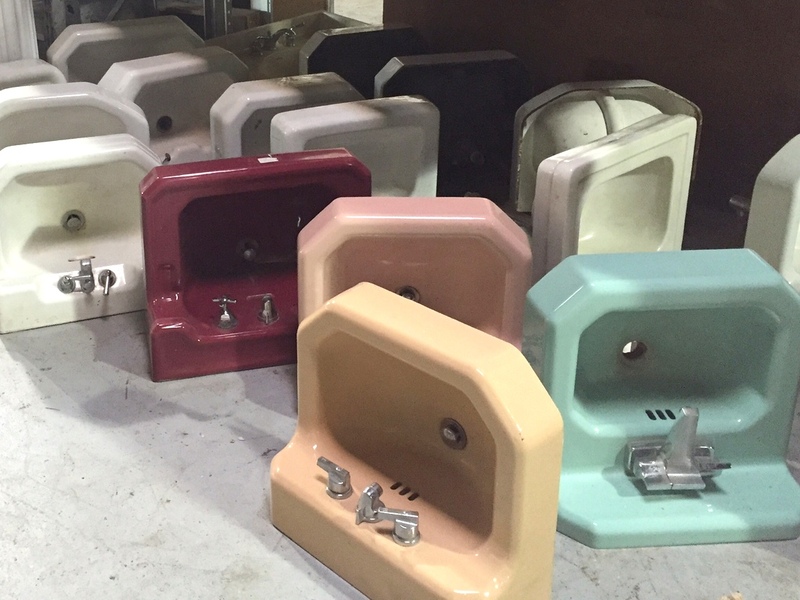 This daunting task of moving thousands of vintage materials was orchestrated through volunteers. A one-time grant was made by the City of Greensboro in the amount of $16,000 to cover expenses involved in hiring Delancey Street Movers to transfer tons of items to a new showroom located at 1028-B Huffman Street in East Greensboro. Building materials have been donated by the City of Greensboro, UNCG, local churches, and private homeowners throughout the city and as far away as Winston-Salem, Raleigh, and Wilmington. Unusual items include bars, a dentist’s chair, roof tile, and awnings. 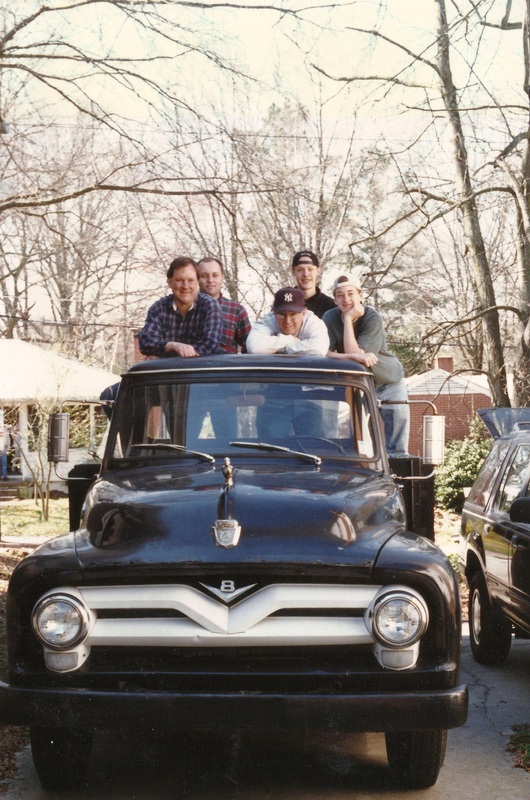 Architectural Salvage of Greensboro is operated through a volunteer board that oversees management of the organization in coordination with Preservation Greensboro board and staff. ASG employs just one paid part-time showroom manager – a position responsible for staffing the showroom on Fridays and Saturdays, tending to sales, working with clients, and organizing the showroom. All other activities such as salvages, material transport, material processing, cleaning, and retail management are accomplished through uncompensated volunteers and the ASG board. We do not purchase items, but items may be donated for charitable considerations. Our ASG showroom at 1028-B Huffman Street in East Greensboro is open Fridays 10:00 a.m. – 6:00 p.m. and Saturdays 9:00 a.m. – 3:00 p.m. or by appointment. Store hours may be closed around major holidays, please call to confirm hours if there is question. For more information call 336-389-9118 or email us.